Screwfix commissioned us to take advantage of new business opportunities emerging in Germany. Over the course of 9 months, we developed a completely original Magento Enterprise solution dedicated to a German consumer. 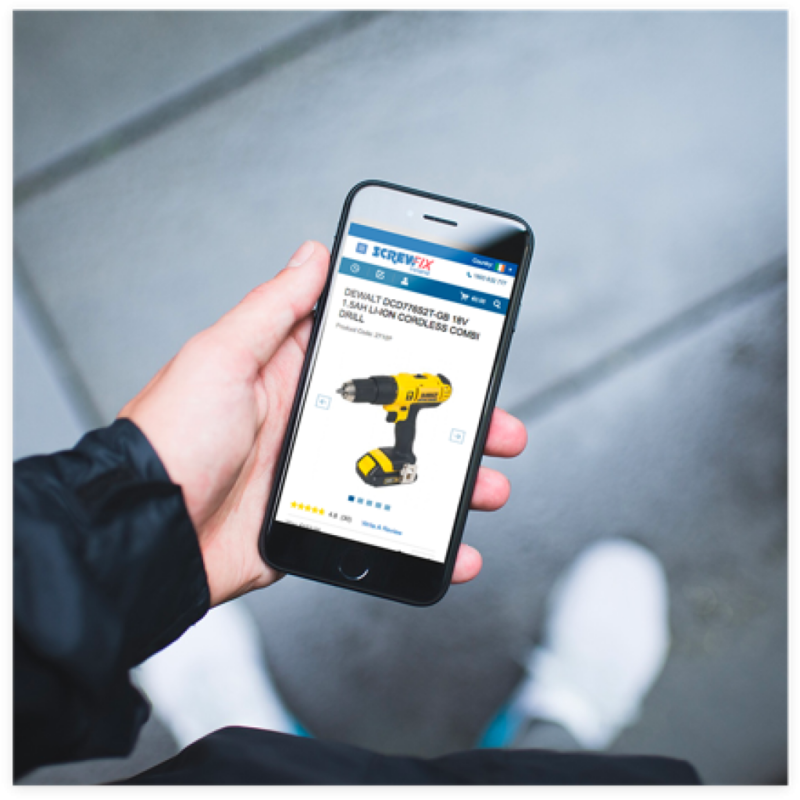 The solution was designed from the ground up, with an aim to being quick to market, scalable and integrated with the Screwfix stock management system to administer the 5 minute click and collect service. Our expertise with Magento allowed us to create streamlined and efficient ecommerce experiences for the consumer. By integrating stock checking and distribution systems into the Screwfix platform, we created a system giving consumers a greater sense of independence and control over their purchases. This strategy included the introduction of a ‘Click and Collect’ service and the celebrated ‘5 minute promise’, which ensured the in-store availability of a tool or piece of equipment within 5 minutes of being ordered online. Vital to attract the tradesman audience Screwfix was most eager to engage. 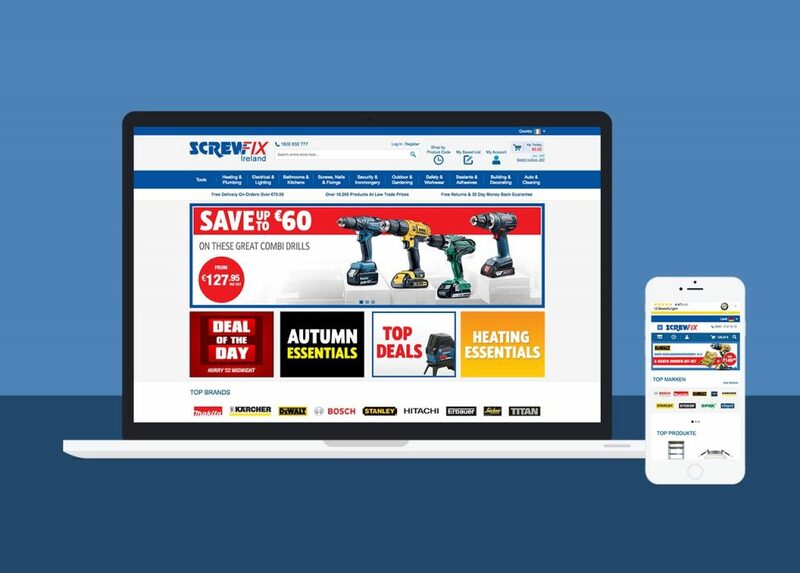 A major part of the customer experience for the Screwfix website, was a 5 minute ‘Click and Collect’ guarantee. This element of customisation meant customers could order and pay for the item they need on route the their local store and have it ready by the time they reached the counter. During the development phase, a further avenue for expansion opened in Ireland, and a second site was developed to considerable acclaim. 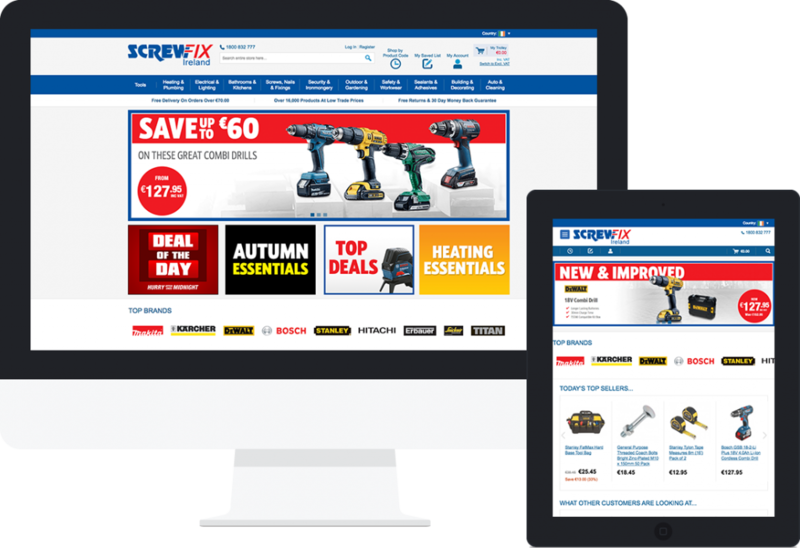 The ‘building-block’ nature of Magento meant that the scaling of a new site for an Irish audience was expedient and efficient; and digital strategy was quickly adapted to best compliment the pure play (online only) methodology Screwfix was employing in the region. 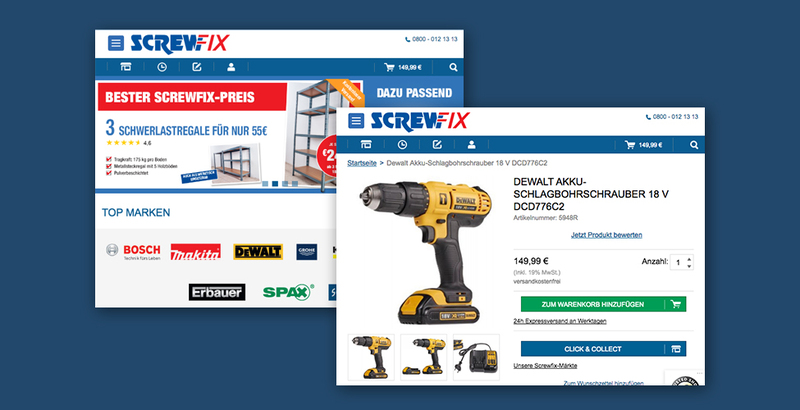 Today the success of the Screwfix Germany, and Screwfix Ireland has warranted the opening several new stores nationwide, and plans are currently in development for a pan-European website, scaled upon the successful German platform. As part of an omnichannel approach we implemented a multitude of payment options, including paypal, allowing for quick and easy payment on the go. 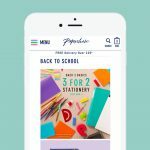 We also established a direct mailing service for newsletters, links to social media pages and order tracking services, all as part of an omnichannel strategy to best serve the customer whilst driving sales and conversion rates. 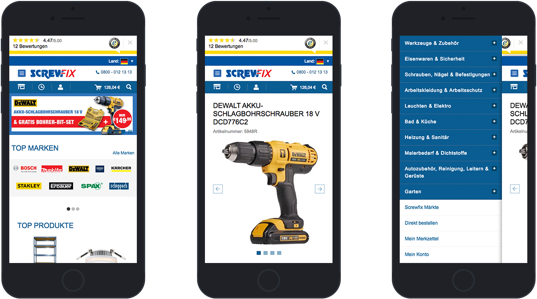 As a result of the success of the German Screwfix site, as well as the Irish and European, Redbox continue to work on furthering the Omnichannel possibilities for the brand.